Because people who manually perform CPR can tire within minutes, the EMTs used a LUCAS Chest Compression System on the man while they transported him to Addison Gilbert Hospital and from there to the trauma center at Lahey Hospital & Medical Center in Burlington. The lifesaving equipment ran for 2 hours and 42 minutes, nearly setting a national record, before the patient regained a pulse. In two weeks, he was well and home again. In a medical crisis, many hands come together to form a team—from the 911 caller, to responding EMTs, to clinicians in local emergency rooms and area trauma centers. It is an “all hands on deck” response. And while George may humbly say that what he and his family have done is nothing earth-shaking; it can very well be lifesaving. 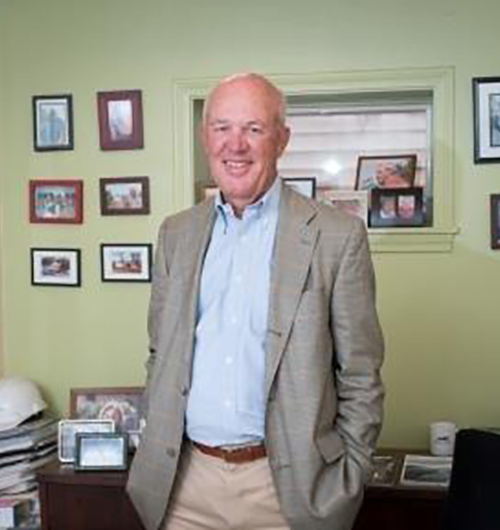 The Scharfe family’s willingness to lend a hand has helped to make exceptional care available on their beloved beaches, boats and backyards of the North Shore and Cape Ann. 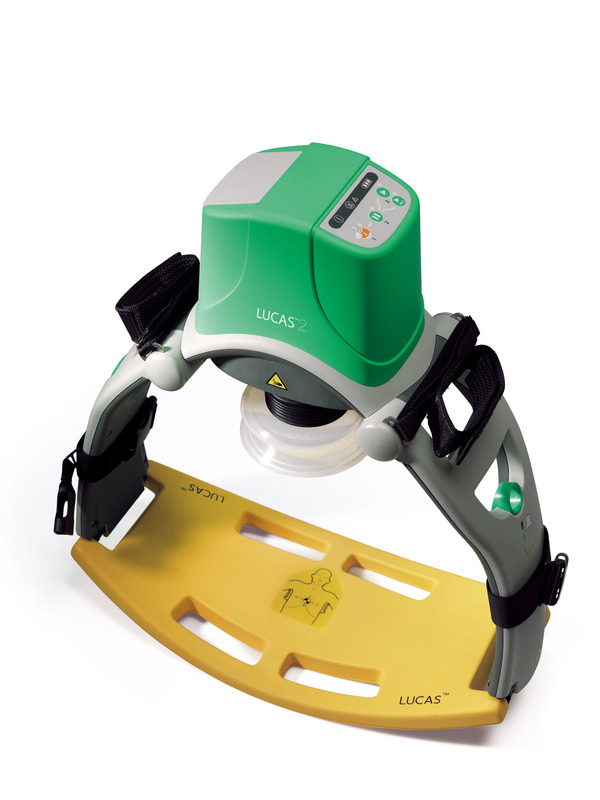 A LUCAS chest compression system. George Scharfe funded the lifesaving device.